Which Type of REIT Should You Purchase? Once a real estate investor has bought into the value of REITs for their investment portfolio, there's an interim step before looking at individual REITs and their performance. That step is to fully understand the differences in the two major REIT types, Equity, and Mortgage REITs. Equity REITs actually purchase, hold and manage commercial and rental properties. Though they will finance these properties in many cases, their primary focus is on profits through acquisition and management. Profits through purchase and sale of properties short-term. Mortgage REITs do not purchase, own or manage properties. They invest in mortgages on real estate properties. Though they have the properties as collateral for the loans in which they invest, the mortgage REIT has no ownership position in the property itself. Why is this major difference of critical importance to the REIT investor? The nature of the two makes their risk and performance characteristics quite different. Your risk tolerance and investment goals will determine which of these REIT types will be appropriate for your portfolio. Though they act differently, they don't seem to be chosen in tandem by many investors. It seems to be an "either/or" decision in most cases. Though mortgage REITs can produce significant returns, sometimes in short time frames, they carry significant added risks. Since they only hold debt instruments and not property, they cannot participate in the appreciation of the collateral properties. Their value is also quite sensitive to interest rate fluctuations. This isn't a large factor in equity REITs, as they generally are financed by fixed-rate mortgages. With interest rate influences being so important to mortgage REITs, their prices tend to be more volatile than those of the equity type. Owned property values are more stable and predictable than the mortgages in the mortgage REIT. REITs are more like investing in the stock market or especially in mutual funds. You buy shares and are a completely passive investor. You rely on professional managers to buy and sell properties or mortgage notes and manage the portfolio for profits. You can check your holdings any time, follow the performance, and buy more shares or sell your holdings when you desire. From the buying and selling perspective, REITs are much more liquid than actual property holdings. You can sell shares or add to your holdings with a phone call or online. Owning property is a much more prolonged sale process and a lot more expensive than the commission to sell REIT shares. For this reason, REITs may be preferable if you don't want to get into a long-term investment that could cost thousands of dollars in closing costs and commissions to get out of. Once you decide on REIT investment, then it's just deciding on Equity, Mortgage or both. 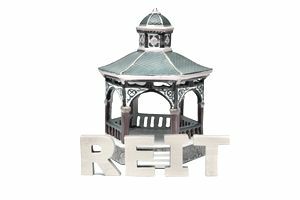 Generally, mortgage REITs are considered more for trading in the shorter term than the longer term holding strategy of the equity REITs. As an investor, thoroughly familiarize yourself with the characteristics of both before selecting REITs in which to invest. Which Are Best, REITs or Bonds?